No one likes driving through traffic and spending long hours on the road to reach their favorite restaurant. They certainly don’t like dealing with it daily when they’re trying to get to work or reach a seminar on the university campus. 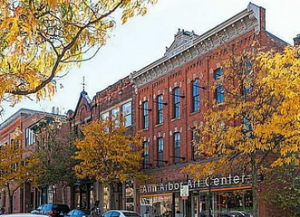 That’s why lofts have become increasingly popular in Ann Arbor. The natural convenience of walking across the street to grab a cup of coffee is unparalleled by any other real estate in the area. It takes minutes to walk to the campus grounds of the University of Michigan, and is only a short distance from fabulous restaurants, street-side cafes, and entertainment venues. So why haul your car around when you can just walk? The convenience is the major selling factor for living in a loft, but it doesn’t mean you’ll be left without the “home” feeling traditional neighborhoods provide. Ann Arbor lofts usually revolve around spacious floor designs, giving you ample breathing room to stretch out and relax. When you gaze out the windows, you’ll fall in love with the views. The entire skyline of Ann Arbor is for your enjoyment. But the real treasure of living in a loft are the amenities. Complexes come equipped with fitness centers, swimming pools, and other facilities that traditional neighborhoods tend not to have. 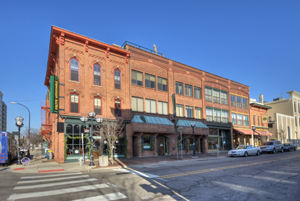 If you’d like more information about Ann Arbor lofts, send us an email via our “Contact Us” page. We’d be happy to answer any of your questions!